I have been working on making my bedroom a haven. A place that is relaxing and I feel rejuvenated each morning when I wake. 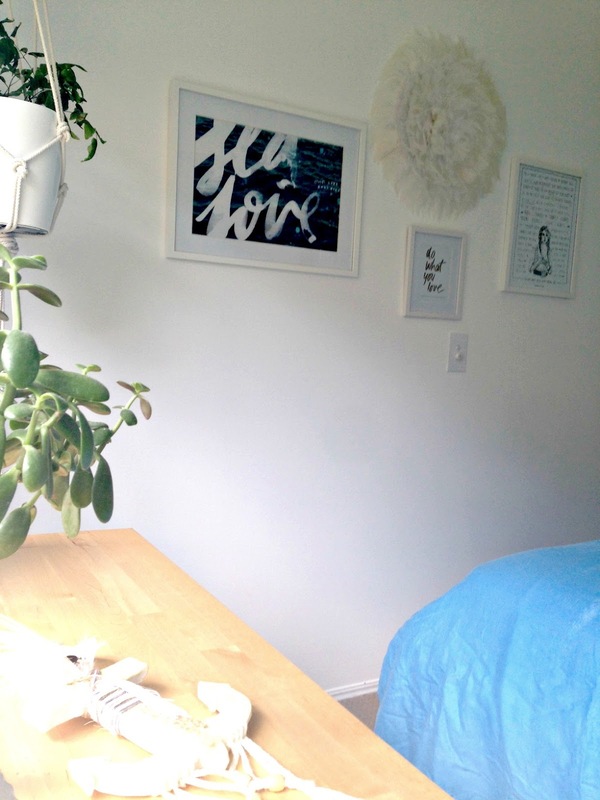 I have gone for a very minimalist approach - some art on the wall, dreamcatchers and my DIY hanging macramé pot holder. I wanted to add some interest to the corner of the bedroom, so I hung a hook in the roofs plaster and hung my macramé plant holder there. I like that it adds different levels of interest and also brings some natural life into the room, by having a beautiful green fern hanging there. 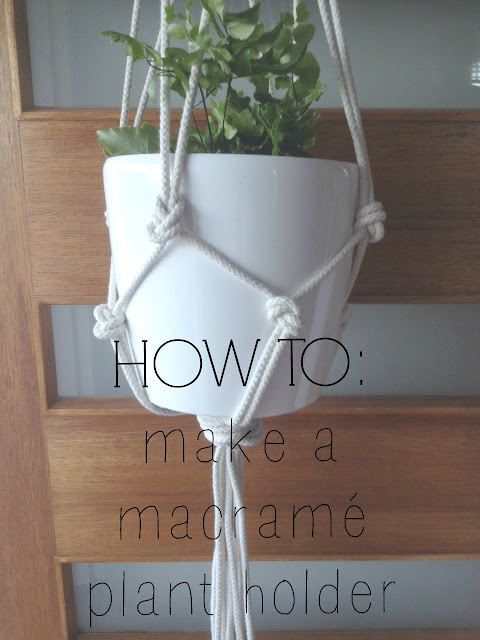 I made the macramé plant holder one afternoon and it really is very simple - even kids could make this one! If you are looking for a sweet handmade gift to give this Christmas, then add this to the list. It is very affordable to make and very on trend at the moment. 1. Tie the 8 cord lengths in a knot at the top and hang this from the hook as described above. Keep one length a little longer and make a loop at the top, securing it by tying it to the knot you just made. This will create your detailed top eventually. 2. Start about a third down from the hanging knot. 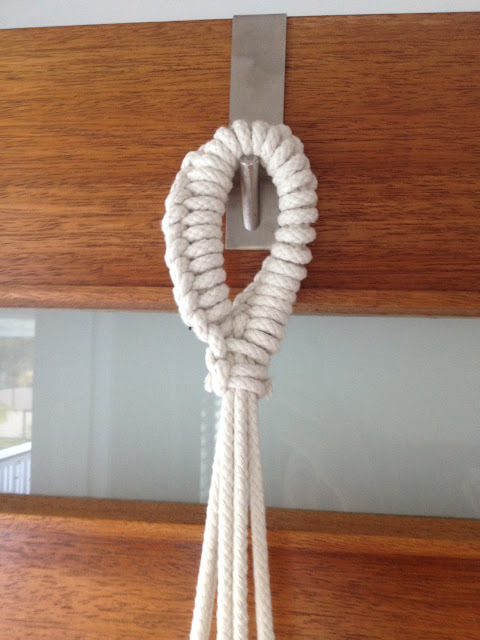 Start knotting the cord into pairs, you will end up with four knots. 3. Then seperate the cord coming from the knots and knot them with the adjoining cord. 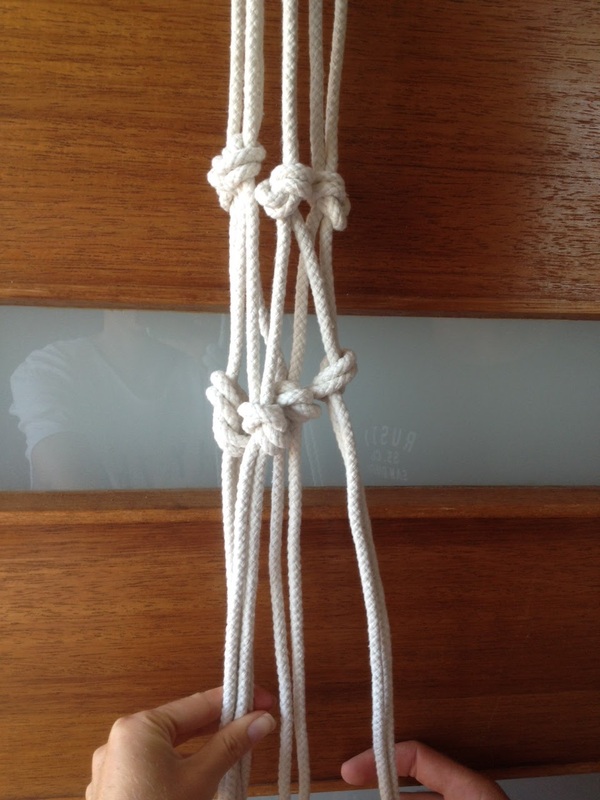 This will be the second row of knots, the aim is to create a zig zag, pulling one cord from one pair and so on. You will once again make four new knots. 4. 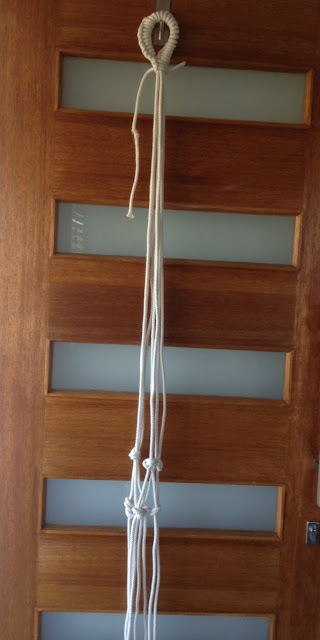 Depending on the size and length of your macramé plant holder and how large of a pot you want to hang, these two layers of knots may be enough, or you may want to do a third. 5. Then once your knots are complete, tie them all together in one large knot. This will be the base of the macramé and hold the pot plant. 6. Now is the fun part, making the detailed knot at the top from which it will hang. Select the 50cm length of cord and tie it to the knot at the top. You are would have already in step 1 made a loop to hang the plant from. You are then going to take the 50cm length of cord and thread it around this cord, looping it under itself each time and pulling the tension tight to create a looped knot. Continue this until you cover the loop and then tie it off at the top. HAVE YOU EVER MADE MACRAMÉ? 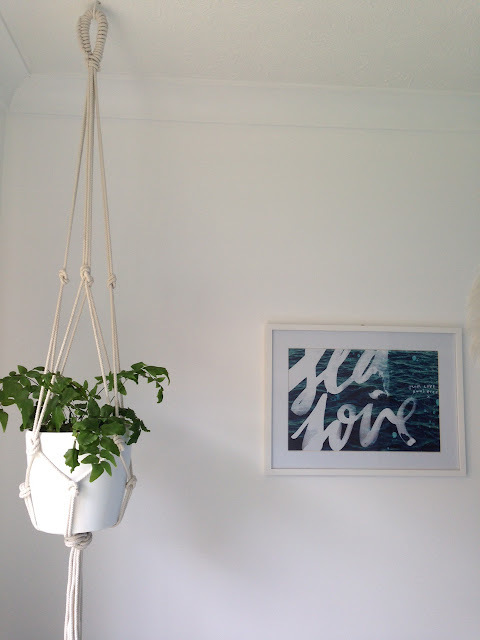 DO YOU HAVE ANY MACRAMÉ IN YOUR HOME - A WALL HANGING OR A PLANT HOLDER? ITS ALOT OF FUN, LET ME KNOW IF YOU MAKE THIS!